When it comes to college dorm supplies, there are so many items that you need. From Twin XL bedding and space savers to shower caddies and rugs, there is literally a whole room of stuff that you NEED. All these dorm necessities are always talked about and on every checklist, and for that exact reason, we thought it would be fun to list the top 5 dorm gadgets. These are things you DON'T NEED, but they are certainly items that come in handy and make dorm life better. Sometimes the most interesting products are those that fill in the details or provide a little humor. 1. Rollie - Getting a great meal or snack in college can in fact be accomplished in the dorm room. 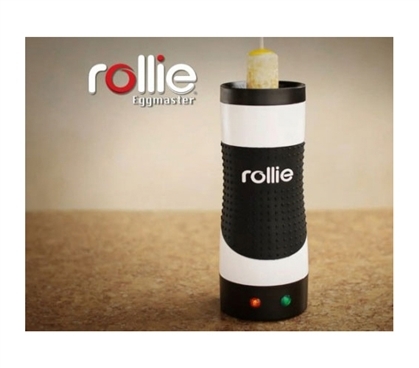 With the Rollie, students can easily make delicious eggs, egg-based recipes, or tons of other cool meals and snacks like pizza rolls and cinnamon rolls; its vertical cooking chamber allows for all sorts of kabob-like meals. This non-stick electric cooker is fully enclosed, meaning it's safe for dorms. 2. 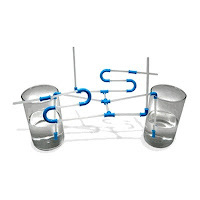 Strawz- Connectable Drinking Straws is a fun way to drink your favorite drinks through a straw. Design your Strawz to go in every which way direction from your soda can or glass to your mouth. How else would you want to wash down those S'Mores! Whether a creative type or engineering major, Strawz will bring lots of interest and time well spent in the dorms. 3. Faucet Fountain - Another useful way to keep from being parched while living in the dorms. Faucet Fountain is for college students who are fortunate enough to have a sink located within the actual dorm room. 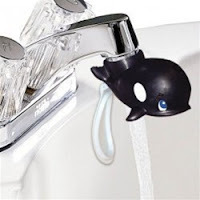 If your room is sink-equipped, simply take the Faucet Fountain and attach it to your dorm room faucet. It is simple to add on and takes only minutes to turn a boring faucet into your own dorm room water fountain. Of course you can let the water run normally so the sink can still be used for all your other sink-type needs, but anytime you want a drink you can have an instant fountain. 4. Bheestie Bag - With all these drinks flowing what happens if you drop your cell phone in water? You're screwed right? Wrong. Or rather, wrong if you own Bheestie. Bheestie Bag is an innovative system that draws moisture out of your personal electronics. Almost all college students have had a run in with water and their cell phone, iPod or other tech stuff. Now you can save your college tech stuff from water damage with Bheestie! Put the blow dryer away, stop melting your expensive stuff and just place your recently wet tech items in Bheestie Bag. set your cell phone on while it charged, but in college this is often not the case. With no nearby table to set your cell phone, it will most likely end up resting on the floor. 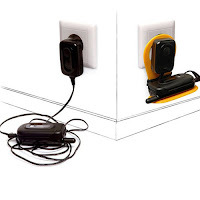 This of course not only puts your phone at risk to damage, but it also is not the most sanitary place to keep something that comes in contact with your face. Drinn is that cheap and useful solution!